Try the trend with slip-on and lace-up versions. 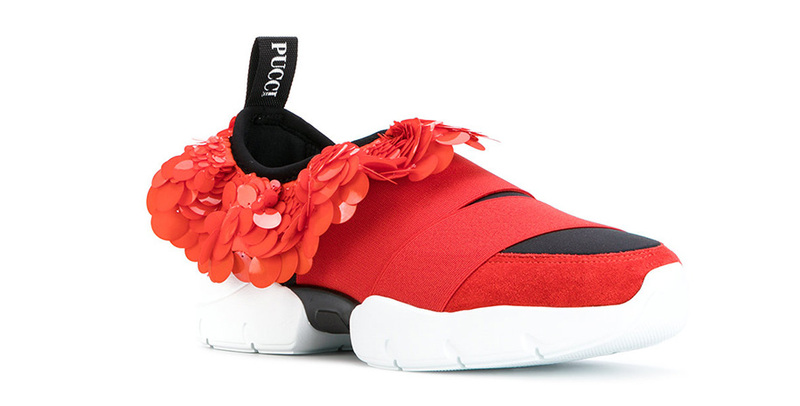 Christopher Kane and Marc Jacobs were among the designers who sent ornamented sneakers down their spring 2018 runways. The former presented a bejeweled sneaker-croc hybrid, while the latter showcased mules, sandals, and high-tops embellished with pom-poms and stones. This bold trend elevates traditional sports footwear, allowing for casual shoes to become staples in sophisticated outfits. Here, three pairs that will effortlessly upgrade your everyday looks. These black leather platform shoes can easily transition from day to night. 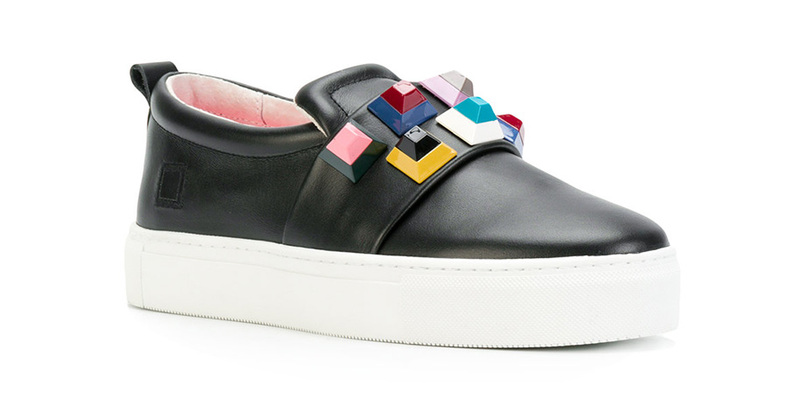 The multicolor pyramid studs add a contemporary feel to an overall classic design. To complete the look, wear with a pair of embroidered black jeans and a graphic t-shirt. The intricate design of these kicks gives them a unique vibe. 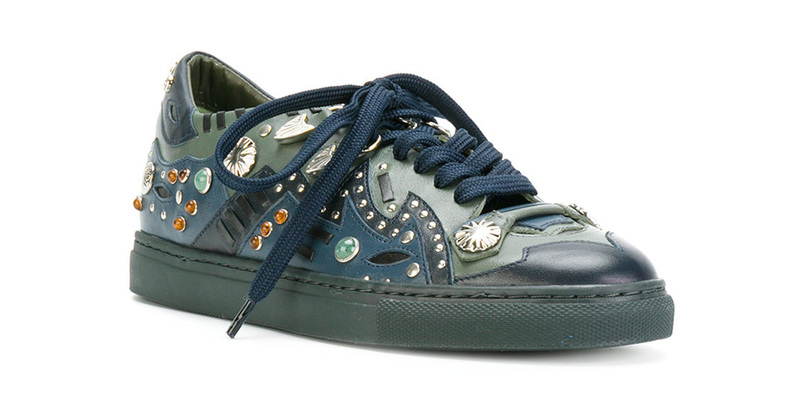 The green and blue leather nicely balances the silver, aqua, and tangerine embellishments. Add a pair of flared cropped jeans and a turtleneck for a stylish fall ensemble. Multi-sized sequins add an edgy vibe to these trendy shoes. Keep the rest of the outfit relaxed and casual with a pair of high-waisted straight trousers and a cropped white t-shirt.